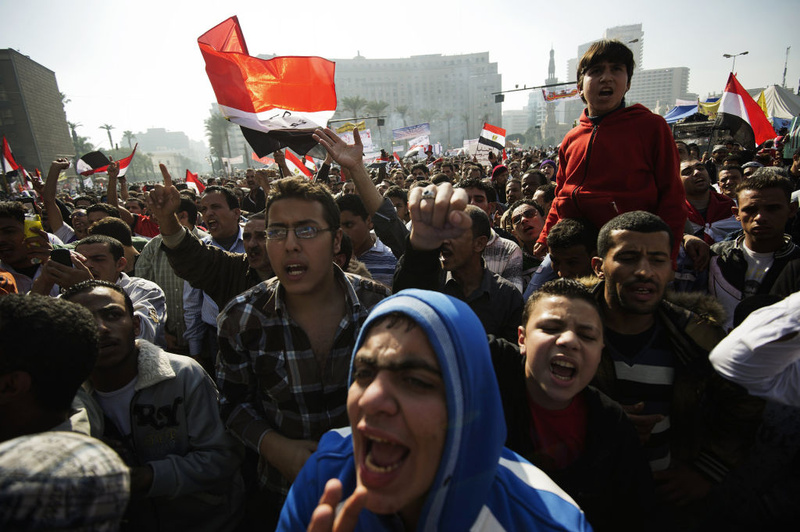 Egyptian protesters shout slogans in Cairo's landmark Tahrir square on November 30, 2012, as they protest against a decree by President Mohamed Morsi granting himself broad powers that shield his decisions from judicial review. Clashes between protesters and riot police in cities along the Suez Canal have turned deadly in recent days, as groups opposed to President Mohamed Morsi defy protests and demand his ouster. Military leaders have warned the nation could be near collapse, and high-profile leaders are calling for a political reconciliation. Morsi has dismissed the violence as a referendum on him, telling reporters, “What is happening now in Egypt is natural in nations experiencing a shift to democracy,” but as the bodies pile up and the calls for his ouster grow louder, we wonder what could be done to shift the course in Egypt? What would happen if violent uprisings grow out of control of the military? Is this a new dawn for Egypt, or the beginning of another nightmare?